In the following guide I will be showing you how to Install the Pulse build on Kodi 17.6 Krypton. The Pulse build is amongst the best builds available on Kodi 17.6 , as it also includes so many high quality addons that you will have enough free content to last you forever!. This build is easy to install and works on devices such as the Amazon Fire Tv Stick and other Android devices/Android boxes. Go to the “repository.aresproject” folder and then install the “repository.aresproject.zip” file. Now select your build e.g. Pulse. Go to the bottom, find Pulse CCM Build and Install. 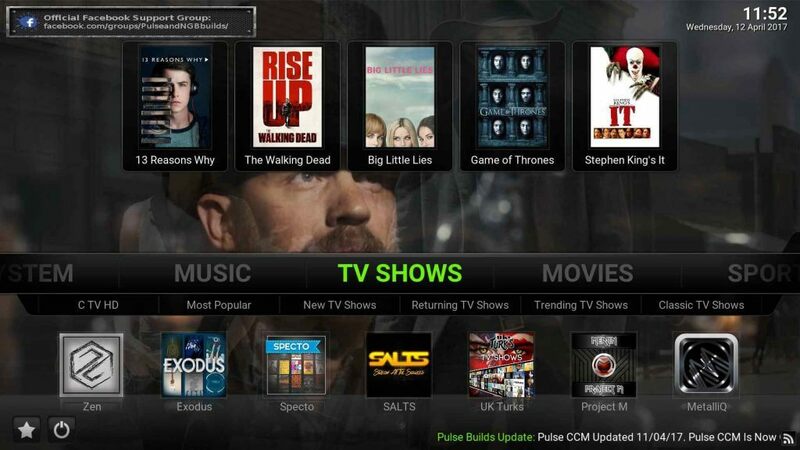 You now have the latest Pulse build installed onto Kodi 17.6 Krypton! Enjoy Unlimited FREE; Movies, TV Shows, Live Sport, Documentaries, Music, and so much more. Don’t miss out on this amazing build for your Kodi device!